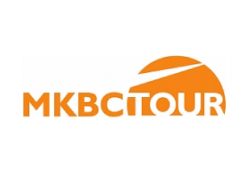 MKBC TOUR - Travel Agency of Moscow House in Riga. We are working since 2002. Our team: experienced professionals who have been specially selected and trained. Full service agency: reservations and sales of flight tickets, bus tickets, standard and customized itineraries, hotel reservation, insurance, visas (accreditation at the Russian consulate, etc. ), cruises, charters, traditional and exotic resorts, special tours for art groups. Organization of tours to Russia: airline tickets, bus tickets, visa support, excursions (Moscow, St. Petersburg), Russian "exotic" (Baikal, Kizhi), hunting and fishing. Incoming tourism in Latvia: individual and group tours, special tours and camps for school groups.